Tired of getting stuck inside due to the snowfall? After watching every movie during the 25 Days of Christmas twice over, what are you and your partner to do? Tell your friends to put on their ugly Christmas sweaters and get ready for a holiday bash! 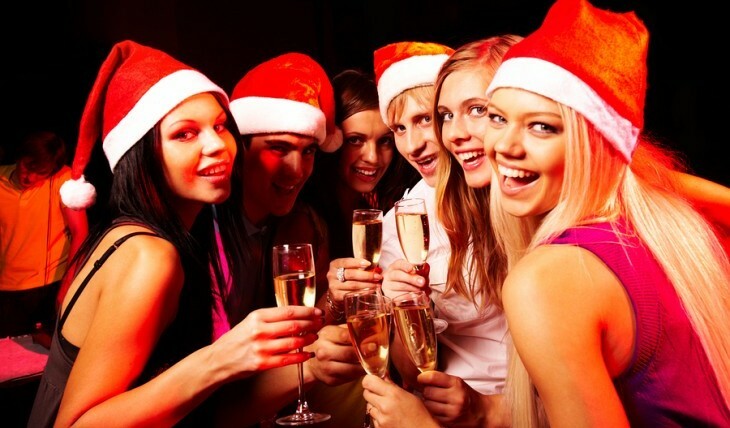 With this date idea, parties will bring out the holiday spirit in your relationship. When it comes to the guest list, don’t be afraid to get creative! Send a holiday spirited invitation to your boyfriend’s friends as well as your own. Introducing your friends will bring you two closer, and you might make a few love connections. Now to the good stuff — the food of course! A pot luck is always a great idea for a gathering of close friends and family. You’re then serving a wide variety of dishes, and you might even snag a secret recipe! Another option is to spend the day cooking up a storm while listening to some holiday tunes with your sweetheart. Don’t be stuck in the holiday blues. Celebrate your relationship this season with a holiday party! Have any other fun holiday themes in mind? Leave your party ideas in the comments bellow!